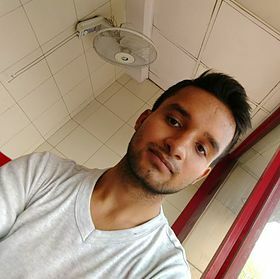 Ankit Modi, a really sweet guy Who always has a way to make you smile. A hillarious person, With Ankit not a single moment will be a bore. He has keen eyes and a cute laugh. Cute becomes synonymous with Ankit. He is shy at first but once you break his shell, you are in for the ride of your life. An exceptional lover. And the best, best friend you could ever have. Caring and cute. He will never let you down. He is an artist, a poet, a bathroom singer as well and he love reading novels based on love stories. He respect his elders. Like shayaris and reading. He is good in badminton and carrom.